Also the second Social Art laboratory has been a success, part of “Cantieri aperti 2012”. 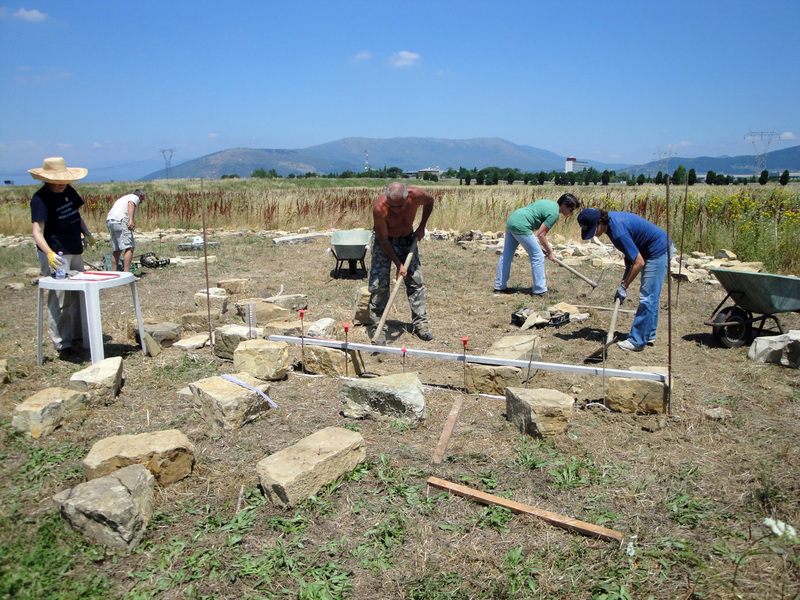 Despite the sweltering heat, volunteers started different activities, in particular those ones aimed at achieving the interventions “La casa” (the further choice and transport in loco of the salvaged materials such as stones and bricks; the cleaning of those same materials for the future building work); “La casa d’altri” (the transport in loco of the stone material, the construction of the base of the façade); “Osservatorio-habitat di ciottoli” (the collecting and transport in loco of the necessary stone material). Also numerous works of upkeep of nurseries and plants have been done, such as the repotting of the seedbeds etc. All these activities are preliminary and indispensable for the plantation works planned in the next fall and winter.